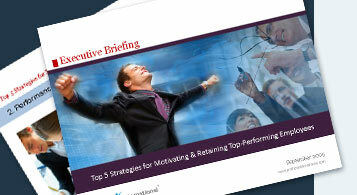 Identify key factors needed to motivate employees. While some employees produce to their highest capability regardless of the incentive, others need an occasional spark of motivation. When handled effectively, the result can be greater productivity and increased employee morale. Nationwide studies have shown that up to 80% of employees are not engaged in their work. Keeping employees motivated is the key to maintaining a productive, successful business. Managers must find ways to motivate employees and make them want to live up to their full potential. To do this effectively, managers need to understand what motivates employees within the context of their respective roles. The PROFILES XT® is the most technologically advanced, state-of-the-art system available today for measuring individual employee potential and predicting job performance. Using the PROFILES XT® as a key part of your employee motivation measurement system will help you uncover insights into why some of your employees perform at extraordinary levels while others, who appear to be equally qualified, are only average performers. Placing the right people in the right positions will have a positive impact within your organization. Profiles PROFILES WORKPLACE ENGAGEMENT SURVEY™ is designed to measure employee motivation and engagement levels across your business. It also measures job satisfaction and the work environment of staff members within an organization. The information collected in this survey provides leaders with a vital perspective on the current reality in their workplace and identifies areas of concern affecting the total workplace experience. Organizations can use these tools as a road map for developing highly motivated employees and an engaged workforce. Many companies use employee assessments to help them with employee motivation strategies that make employees want to live up to their full potential. This provides better results as each employee’s reason for working is unique. Addressing each individual’s needs in the organization will create a highly motivated workforce that strives for the best as a whole.